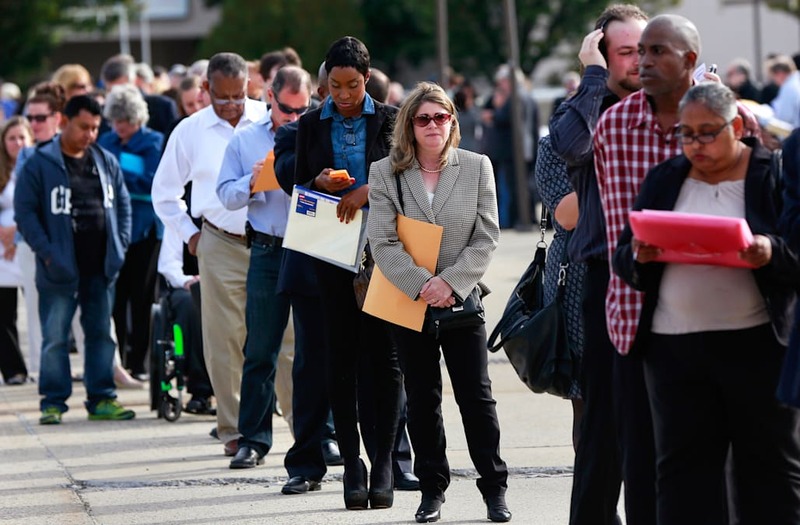 WASHINGTON, Jan 26 (Reuters) - The number of Americans filing for unemployment benefits rose more than expected last week, but the underlying trend remained consistent with tightening labor market conditions. Other data on Thursday showed a drop in the goods trade deficit in December, amid a pickup in exports. With trade expected to have weighed heavily on economic growth in the fourth quarter, last month's rise in exports bodes well for growth in early 2017. Initial claims for state unemployment benefits increased 22,000 to a seasonally adjusted 259,000 for the week ended Jan. 21, the Labor Department said. Claims have now been below 300,000, a threshold associated with a healthy labor market, for 99 consecutive weeks. That is the longest stretch since 1970, when the labor market was much smaller. Last week's data included the Martin Luther King Jr. holiday, which could have impacted on the data. Claims tend to be volatile around this time of the year because of different timings of the various holidays. "Through the volatility they continue to show no sign of an uptrend," said Jim O'Sullivan, chief U.S. economist at High Frequency Economics in Valhalla, New York. "We believe the trend in employment growth remains quite strong, more than strong enough to keep the unemployment rate trending down." Economists had forecast first-time applications for jobless benefits rising to 247,000 in the latest week. The labor market is viewed as being at or close to full employment, with the unemployment rate near a nine-year low of 4.7 percent. With the labor market tightening, wage growth is picking up, which should provide a boost to the economy through strong consumer spending and a continued housing market recovery. In a separate report on Thursday, the Commerce Department said the goods trade deficit fell 0.5 percent to $65.0 billion in December. Goods exports increased $3.7 billion to $125.5 billion. The rise outpaced a $3.4 billion gain in imports. Economists expect trade to have subtracted as much as 1.5 percentage points from gross domestic product in the fourth quarter after contributing 0.85 percentage point the prior quarter. Much of the anticipated export drag will likely come from a decline in soybean shipments, after they provided a huge boost to GDP growth in the third quarter. The government is scheduled to publish its advance fourth-quarter GDP estimate on Friday. Thursday's jobless claims report also showed the number of people still receiving benefits after an initial week of aid increased 41,000 to 2.1 million in the week ended Jan. 14. The four-week average of the so-called continuing claims fell 1,250 to 2.1 million. The continuing claims data covered the survey week for January's unemployment rate.